From the specific vehicle's page, click the downward facing arrowhead next to "Edit"
You are presented with options, "Unpublish" and "Remove". 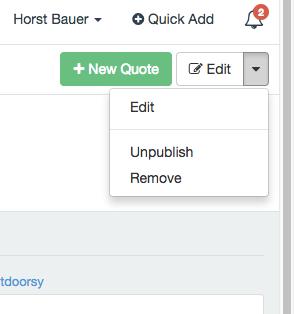 Unpublish: Removes the unit from your website as well as Outdoorsy.co, but it remains in your internal Wheelbase system and all the information remains. Remove: Completely deletes the vehicle and all of it's information from your website, Outdoorsy.co, and your Wheelbase system, as if it never existed.